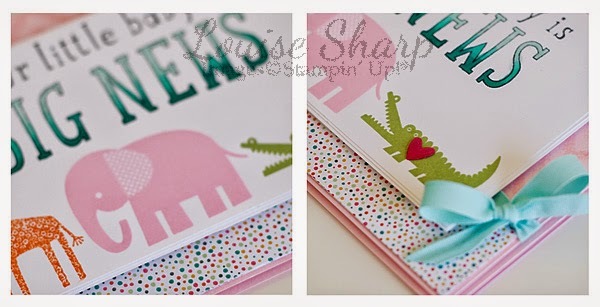 Louise Sharp: Just Add Ink - Zoo Babies Baby! Just Add Ink - Zoo Babies Baby! Not everyone has been there, but many have. The aching of anticipation for the arrival of your wee little one, loved before you even meet. Friends of ours (well, actually it's my sister-in-laws best friend) has recently had the sweet joy after nine long weeks in neonatal intensive care of taking home their beautiful baby girl. This tiny little baby certainly has been big news! I'm sure you can guess what the challenge is over at Just Add Ink? Congratulations to Mr and Mrs N! I have also managed to make a quick video on how I used the Zoo Babies Stamp Set so the giraffe 'walking' in the same direction! If you would like to purchase any of the items for this card, please click on the image below and you will be taken to my online store. Very cool Louise! Love the video - you are just so super cute! Lou such a fun and bright baby card and how wonderful for the parents to finally bring their bub home! This is such a gorgeous card Lou and I love how you have done the mirror technique using the stamp-a-ma-jig sheet - what a clever idea! 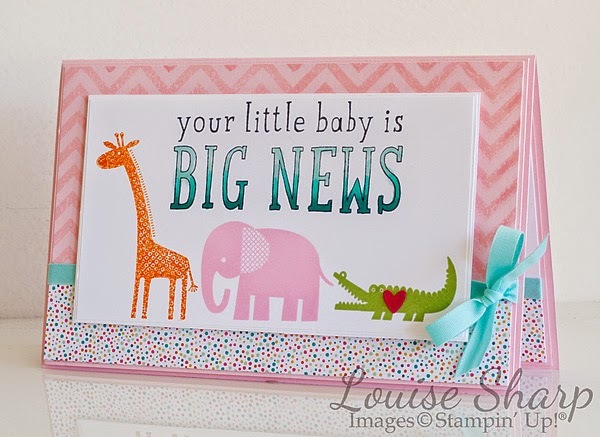 THE most adorable card for a special little bubba! Thanks for the video, Lou - in all my years of stamping, I've not even THOUGHT to do that! Brilliant! What a great idea - I have often wanted a reverse image but it seemed too hard. Will have to give this technique a try. Thank you.